How to collect the new Unincorporated Area sales and use tax in California? When we were thinking CA sales tax couldn’t get any more complicated, we were wrong! For the first time ever, California now has a new district sales and use tax that only applies to an un-incorporated area within a county. Voters in County of Santa Cruz has approved a “Santa Cruz County Unincorporated Area Transactions and Use Tax” for 0.50% operative April 1, 2019. Voters in Yuba County also approved a same tax named “Yuba County Unincorporated Area Transactions and Use Tax” for 1% however this one is subject to pending litigation. Such tax only applies to areas that are not within an incorporated cities. It does not affect the rate that applies in incorporated cities within the these counties either. 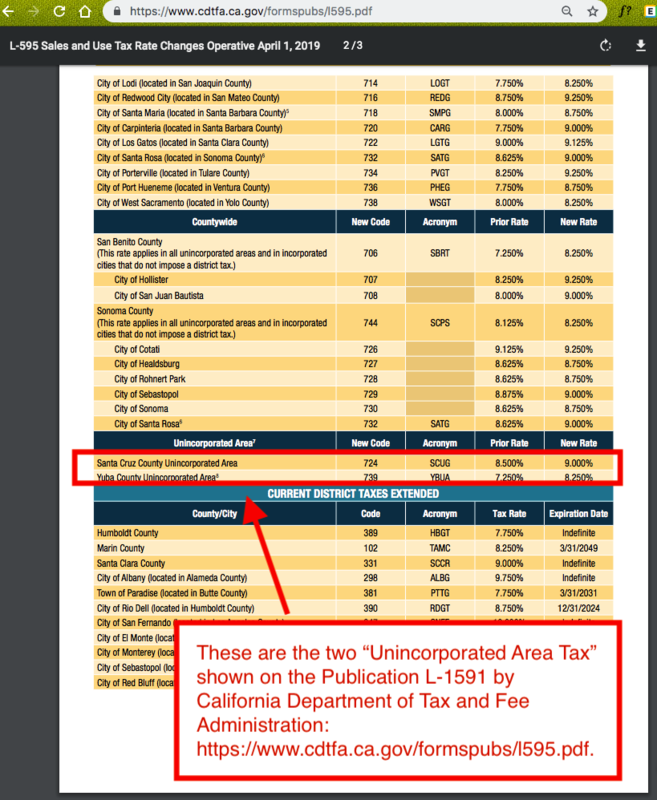 Some people are confused about this un-incorporated tax with the county-wide tax. County-wide tax applies to every address within the county. The un-incorporated tax is only for areas that are not within the boundaries of any incorporated cities within the county. We consider this “un-incorported tax” as a special district tax because it is not a county-wide tax. Neither it is an incorporated city tax because these un-incorporated areas are not within any incorporated city. So how to determine if an address is in an incorporated city or not? The only way to accurately determine it is to find out if such address is within the incorporated city boundary. Incorporated city is also called Municipality. USgeocoder has the incorporated city boundaries for the entire US. When you send an address to our geocoder, it first tries to geocode the address and find out where this address is located on the map, then by querying the incorporated city mapping database, We know exactly whether the address falls in a particular incorporated city boundary or not. If you want to know more about how to find the municipality by address, here is another blog article explains it in full details with real life examples. For an address you have, mostly of the time it’s a mailing address issued by US Postal Office. The city in the address could be a mailing city only, which has nothing to do with incorporated city. So the “City” name in your address might not necessary be the name of its municipality. Usgeocoder uses street address and a five digit zip code to determine the municipality of an address. If it’s in a particular municipality, it provides the name of the municipality; If it’s not in a particular municipality, it will provide “Unincorporated” as the value for the given address. Sometime every address within a mailing city is in un-incorpoted area, for example, addresses in city of Aptos in Santa Cruz county are all in un-incorporated areas. However for the incorporated city of Santa Cruz, some areas within Santa Cruz city are outside of the incorporated city boundary. They are just having Santa Cruz as a mailing city for US Postal Office mail person to deliver mail to. For these un-incorporated areas with “Santa Cruz” as their mailing city, there is no other way but using geocoding technology to find out whether they are within the incorporated city limit or not. How to correctly calculate sales and use tax rate? USgeocoder API offers realtime sales tax rate for every address in California. The formula we use is statewide tax rate + countywide tax rate + incorporated citywide tax rate + special district tax rate. You can take a test drive with our live demo by entering a California street address and zip code, press “Free Lookup” and see the sales and use tax rate information for the input address. 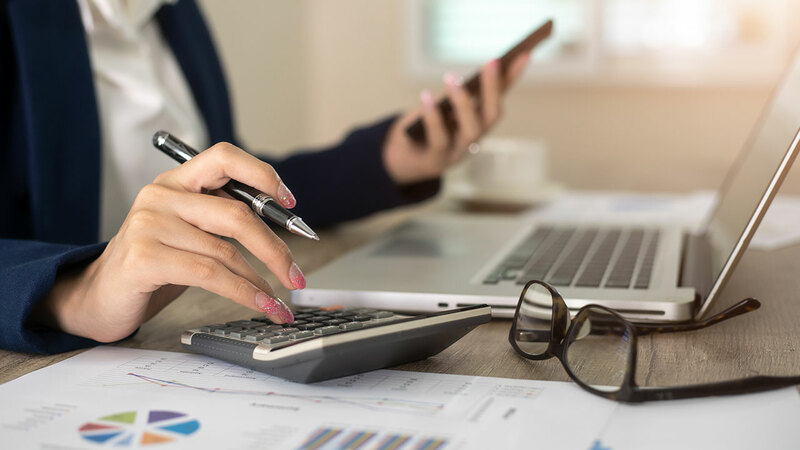 Click here to learn more about how to correctly calculate the California Sales Tax Rate Using Geo-based technology.